I have not personally gone over Niagara Falls in a barrel, but did you know that the first person to successfully complete this stunt (and by “successfully” I assume that means they actually survived…) was a woman? Annie Edson Taylor, a 63-year-old retired school teacher. I can just imagine what Monday morning in her classroom would have been like had she still been teaching: “Good morning, boys and girls! How was everyone’s weekend? Mine was certainly exciting. Don’t try this at home kids but I went over Niagara Falls in a barrel! !” Um, no. I did view the falls from the relative safety of a boat. 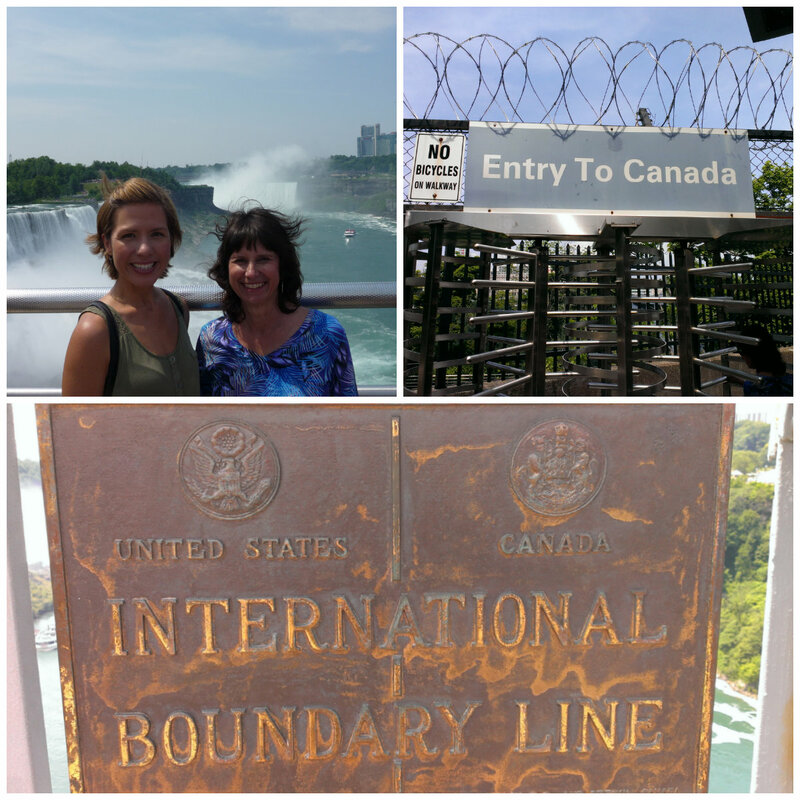 My Aunt Georgann and I just spent two nights in the Niagara Falls area – beginning a two-week adventure traveling through Canada. I am SO excited to be visiting this country again! After my previous one and only trip in 2012, I’ve been nearly desperate to explore more of this land! Georgann and I flew into the U.S. side of Niagara Falls this past Friday. We actually stayed outside of the city in Youngstown, NY – yes, not Canada, but pretty darn close. 😉 And it’s going to be all Canada from here on out! Even though we had initially wanted to stay on the Canadian side of Niagara Falls, we are both so glad we decided to stay outside the city! 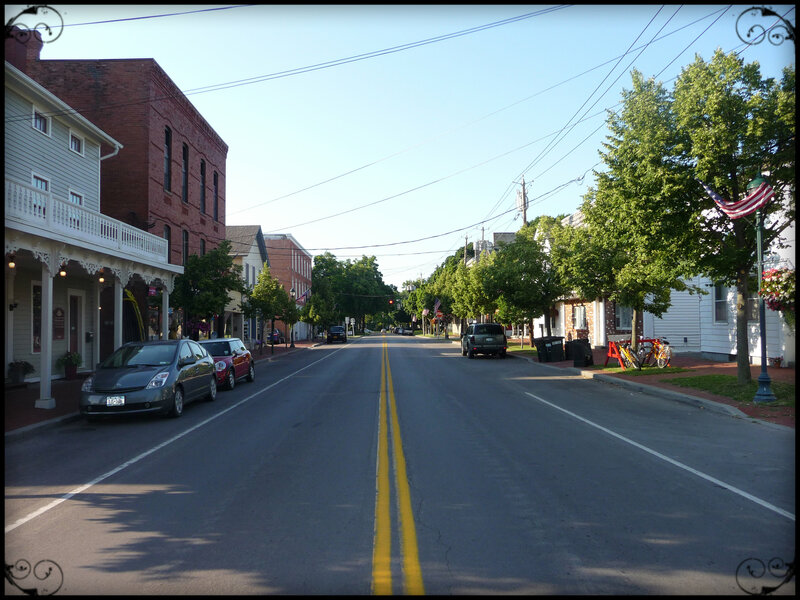 Youngstown, New York is an incredibly quaint town situated on the Niagara River where it feeds into Lake Ontario. Huerto Salad, Torched Tilapia with Almond Cream Sauce, Stuffed Poblano Pepper with Walnut Nagada Foam…yum!!! We couldn’t have asked for a more perfect place to eat! It doesn’t look like anything too special from the outside (or the inside for that matter), but the food more than made up for it. As my aunt told the chef, it completely exceeded our expectations. 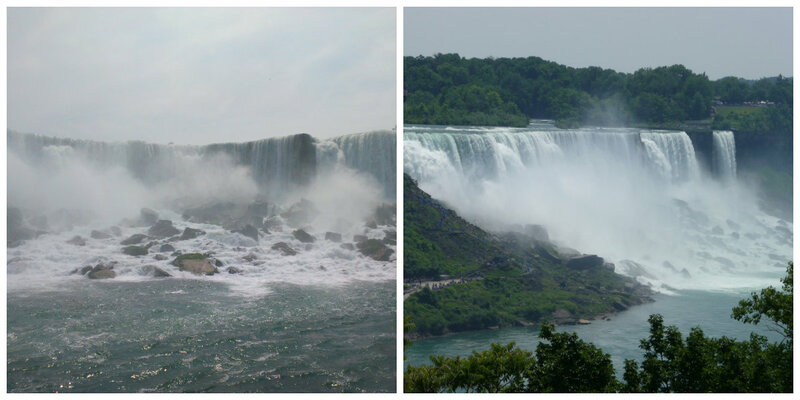 The following morning, after eating breakfast on the patio, we hopped in our rental car and drove to Niagara Falls. We parked on Goat Island on the American side of the falls and made a bee-line for the mist we could see rising above the buildings. Wow. It’s just indescribable how incredible these falls are! Although you really don’t get an idea of just how powerful they are until you are right below them – which is where we headed next via the Maid of the Mist. The walk from Terrapin Point to the Maid of the Mist dock and observation deck was very pleasant through woods and across bridges, although we could already tell that the day was on it’s way to being quite warm! 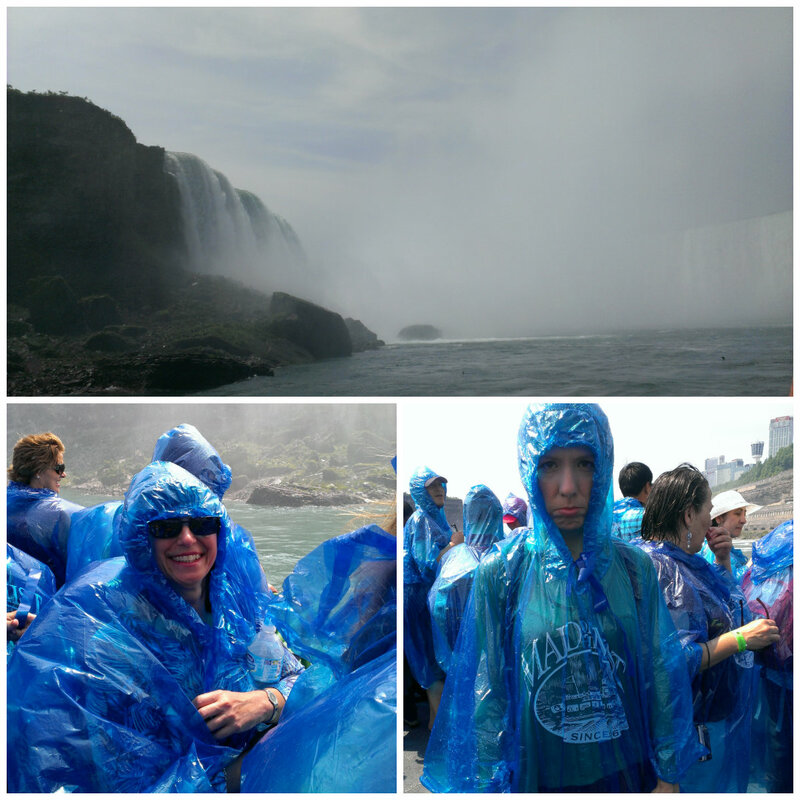 We purchased our tickets, took the elevator down to water level, picked up our lovely, blue ponchos, and boarded the Maid of the Mist ferry. We sailed first past the American Falls which are, in my opinion, just as stunning as the more famous Horseshoe Falls. The misty spray from the falls was very welcome in the heat. But the torrential downpour from the Horseshoe Falls was a bit much! Okay, downpour might be a stretch, but we got a lot wetter than I thought we would! It took hours for my shoes to dry out. But it was fun and so amazing to be so close to the roaring water. At this point we were pretty hungry so we decided to head over to Canada for lunch. That sounds so strange – “Let’s go to Canada for lunch today!” 🙂 We opted to walk across the border via the Rainbow Bridge. As we were walking across the bridge, it hit me that I hadn’t checked to see if there was a Hard Rock Cafe in Niagara Falls. As I was relaying this to Georgann, she points ahead and says, “There’s one right there.” And so there was. 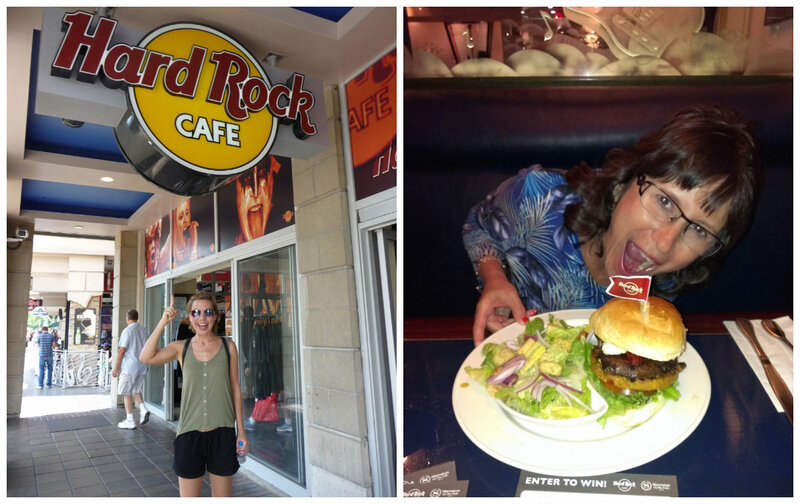 For those of you new to the blog, I always try to eat at a Hard Rock Cafe in every new city I visit that has one. Kind of a silly goal my friend and I have of eating at every one on the planet. Yeah. Georgann was kind enough to humor me and eat at a “chain” restaurant. 🙂 One more Hard Rock to check off the list! We brought our food back to the B&B and ate dinner on the patio with a view across the river of Fort George in Canada. After dinner, we headed to another fort: Old Fort Niagara. There was an event being held there that we were going to attend, but the mosquitos and attack bees scared us away. Seriously. 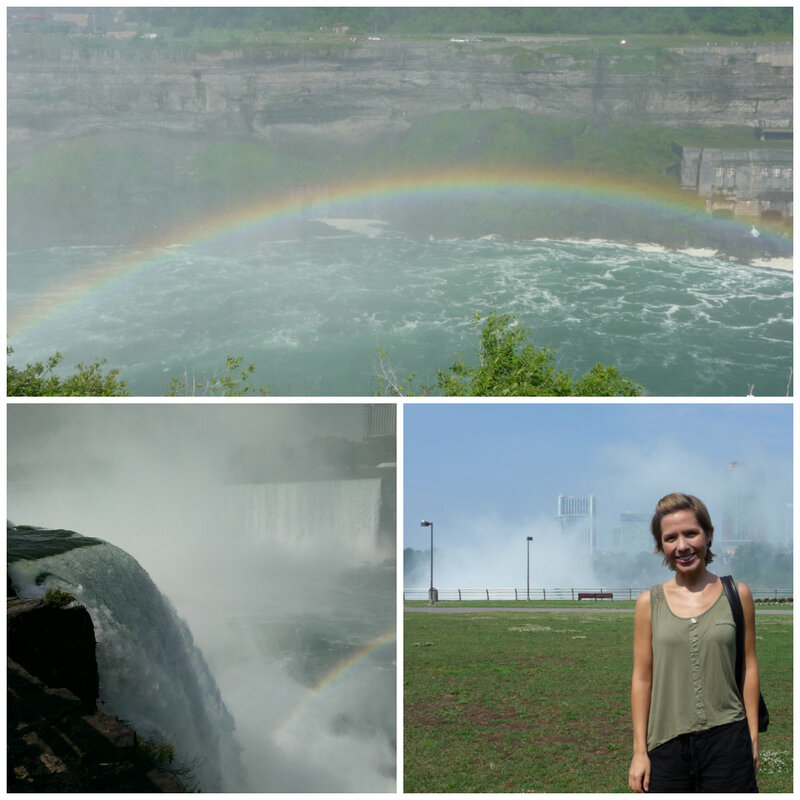 Our time in the Niagara region was short but incredibly enjoyable! We both want to visit again to see more of this area and enjoy more of the activities and sights. But for now, it’s on to Canada! We reserved our accommodations in Youngstown through Airbnb, which I had used once before in Seattle. We could not have picked a better place to stay! 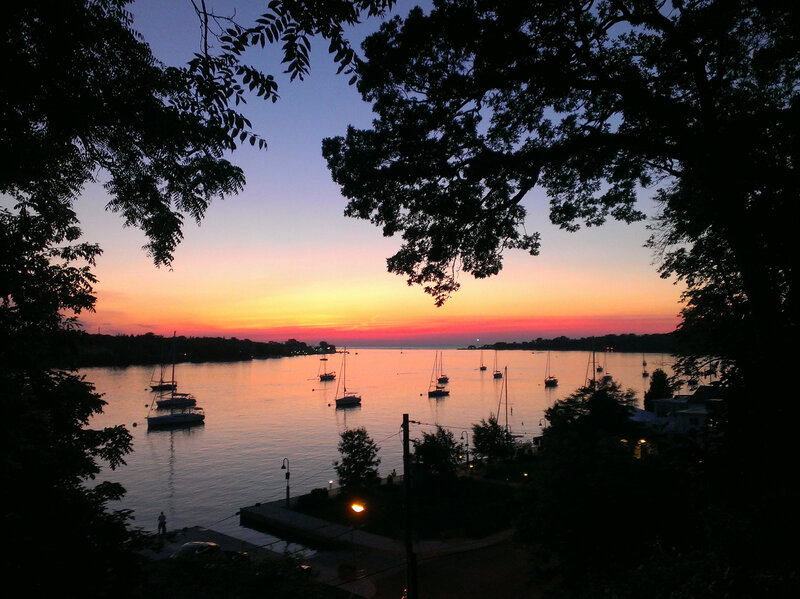 Our hostess, Margaret, was fantastic, the accommodations were lovely, and the views outstanding. If you are ever looking for a place to stay in Youngstown, or are visiting Niagara Falls and would like to avoid some of the craziness of the city, I can’t recommend highly enough Margaret’s place. She was so friendly and helpful, provided breakfast each morning (a rarity with AirBnB places) and made us feel so welcome. 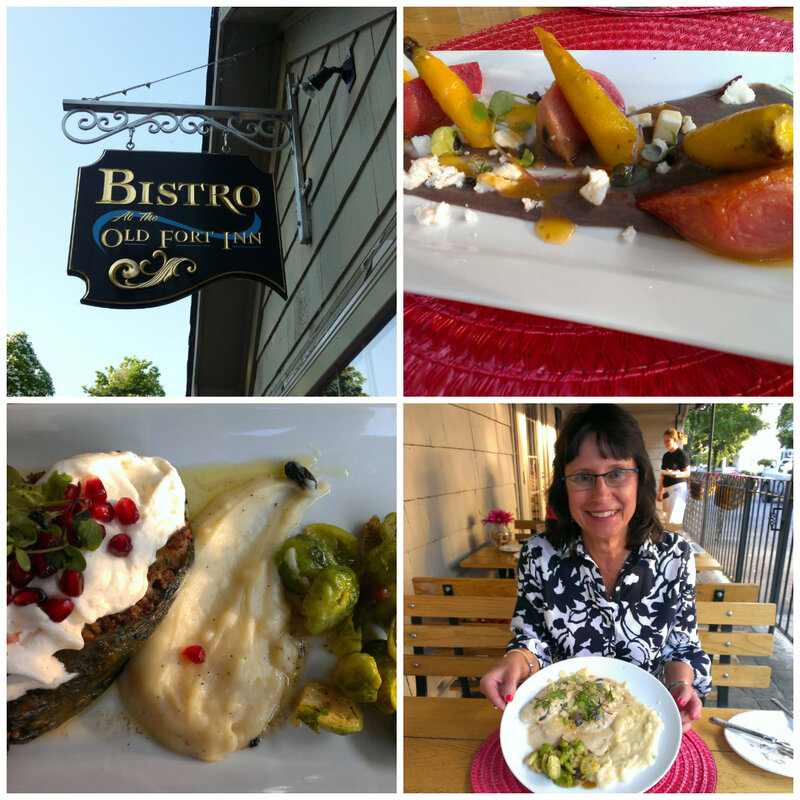 And if you’re in Youngstown, or anywhere near Youngstown, you must eat at the Bistro at the Old Fort Inn! Please!!! Such amazing food! When visiting the falls, there are two ferry options to get up close and personal: Maid of the Mist and Hornblower Niagara Cruises. Maid of the Mist is located on the U.S. side of the river and the Hornblower is located on the Canadian side. We chose Maid of the Mist to avoid crossing the border in our car. Both provide the same journey and are fairly comparable price-wise – around $17 for an adult ticket. There are many other things to do at the falls including Cave of the Winds and Journey Behind the Falls, both of which I would love to experience some day but we just didn’t have enough time. Next visit for sure!